Godley ISD would like to welcome Daniel Davis as the interim head football coach. Godley ISD would like to welcome Daniel Davis as the interim head football coach. Coach Davis is a graduate of New Diana High School and played center at Henderson State University where he earned a Bachelor of Science in Education. Coach Davis began his career in 2006 at Irving ISD where he coached offensive line and was part of a Semi Final appearance. In 2010-2012 he was the offensive coordinator at Seymour ISD where they reached the Regional and Quarterfinal rounds in the playoffs. He was the assistant head coach and offensive coordinator at Clyde ISD from 2012-2016. 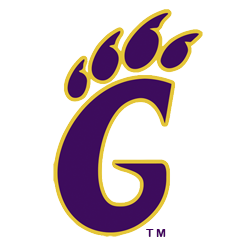 Coach Davis became the offensive line coach at Godley in 2016 and served as offensive coordinator this season before being named the interim head coach. Coach Davis has been married to his wife Kristi for 12 years. They have two young sons; Maxx is seven and Drew is four. Please join us and support our boys and new interim head coach. Go Wildcats!